There are three main sections in the Finance - Fin A, Fin B and Fin C.The Finance Officer is the controlling officer of Finance A & B Section. The intermediary officer in the Finance A Section is Smt. Anitha Kumary P, Senior Superintendent. The intermediary officer in the Finance B Section is Sri. Hari Kumar. B, Senior Superintendent and The intermediary officer in the Finance B Section is Sri. 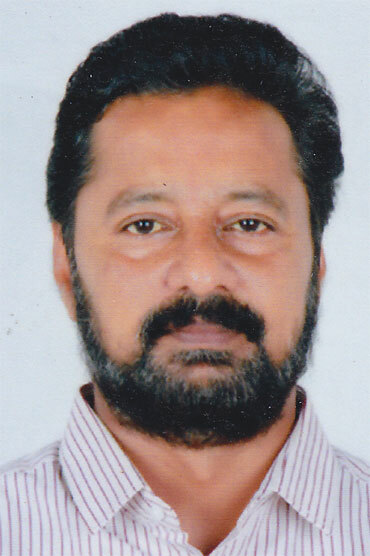 Rajesh N.A, Junior Superintendent., The Financial Consultant/Advisor is the controlling officer of Finance C Section. The intermediary officer in the Finance C Section is Smt. Sobhana. S, Junior Superintendent. This section deals with the matters related to the receipt and allotment of grant-in- aid from Government, receipt of other funds from Central/ state Government/NABARD and its allotment and connected records/registers and receipt and transfer of non plan (salary) and any other work allotted by the higher authorities. This section deals with the files related to the investment of CPF funds and its allotment based on the orders from the concerned sections. Remittance of the CPF amount maintenance & reconciliation of CPF account with bank statement Consolidation and maintenance of NRI (old & new) fund and its allotment and connected registers. Maintenance of consolidated fund and disbursement of fund to the associate institutions including non- plan (non- salary) and other work allotted by the higher authorities from time to time. This section deals with the cash account of IHRD, Headquarters. Maintaining of Casual leave register and furnishing of absentees statement and files related to the T.A Bill of all employers in the IHRD (Hqrs) and all Heads of institutions and any other work allotted by the higher authorities. This section deals with the files related to gratuity, remittance/withdrawal of gratuity /reconciliation of gratuity accounts, matters related to AG Audit, Local fund audit issuance of orders regarding allotment of funds to associate institutions considering their requirements GST/Service tax, and any other work allotted by the higher authorities. This section deals with files related to EPF and sanctioning of CPF loan (TA/NRA/closure) & maintenance of ledger of CPF and any other work allotted by the higher authorities. This section deals with the planning and preparation of budget of IHRD and its associated institutions, to obtain approval of the Executive Committee and Governing Body, maintenance of CPF data in the “PF Accounting System” software, activities like processing of data, closing balance/interest posting, credit card generation and printing, & its issuance data backup etc and pay roll preparation of IHRD, Headquarters. This section deals with the preparation of annual accounts statements such as Income and Expenditure, Receipts and Payments, ?Balance sheet of accounts related to IHRD and its associate institutions, CPF fund and gratuity fund etc. Watching of receipt of monthly accounts from our institutions and scrutiny of the same and its consolidation, CA audit report and its follow up and any other work allotted by the higher authorities. This section is dealt by Smt. Meera Chandran. B. L, Office Assistant and this section deals with all files related to the internal audit of IHRD institutions and its compilation, follow up action, preparation of DCB statement of IHRD institutions, preparation of annual administration report of IHRD and all miscellaneous matters allotted by the higher authorities.